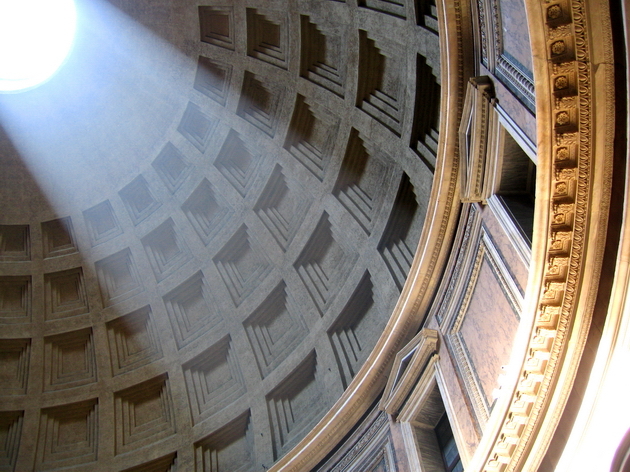 The Pantheon in Rome is one of the more remarkable buildings. The only light inlet is a large hole in the roof. But it gives a beautiful light!